If you are a parent or employer, with responsibilities for the way your iPhone devices are being used — you will be excited to learn that FlexiSPY for iPhone is now available. 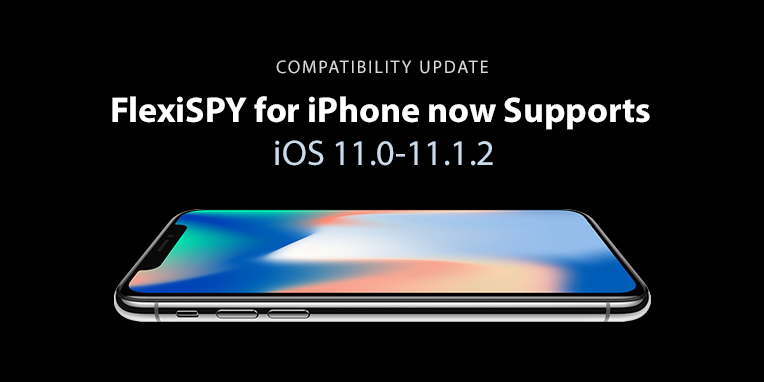 FlexiSPY is compatible with iOS versions 11.0-11.1.2 and below. It will not work with later versions. There is one limitation however, and that is that FlexiSPY will continue to work until the device is powered off or the battery runs out. To restart FlexiSPY you will need to get access to the device and carry out a reconfiguration. This is not a FlexiSPY problem, but with the underlying configuration, colloquially called a “jailbreak”, which deletes itself when the phone is restarted. While this is unfortunate, if you need a way to properly monitor an iPhone, FlexiSPY is the only product that is able to track iPhone usage across all applications. For those who don’t already know, jailbreaking just means configuring the iPhone so that it can install third party apps, and you can learn more on how to jailbreak this particular version of iOS here. If you want to find out more about FlexiSPY for iPhone, please contact our live chat support.